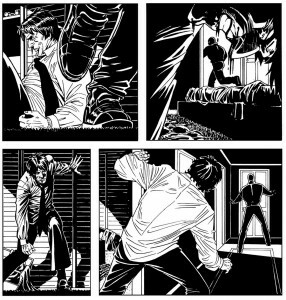 Sometimes you need to take a break from capes to enjoy one of the oldest genres of comics: crime stories. 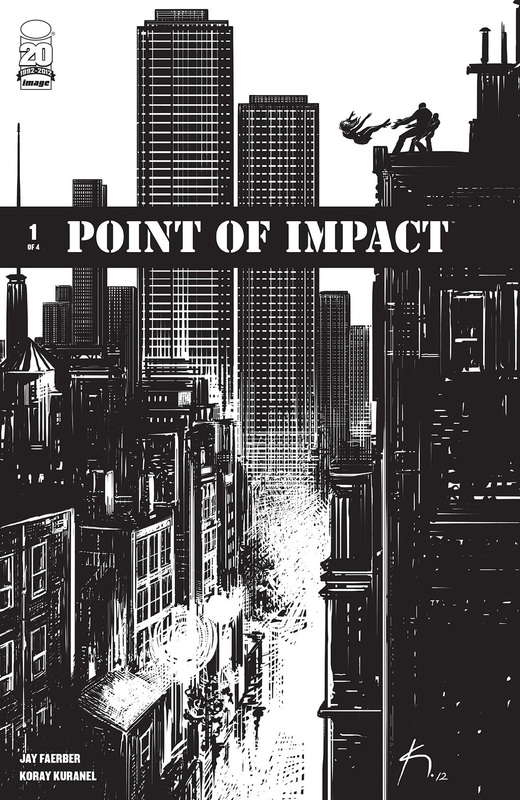 Point of Impact is done with the throw back black and white style with a multiple perspective narrative. The story revolves around the strange death of woman named Nicole. With the police trying to solve the crime, her husband, Mitchell, getting attacked for some unrevealed reason, meanwhile Nicole’s lover is unaware of the situation, and a robber talking to someone about his crimes. This issue brings out several plot threads and acts as a really intriguing opening to a crime story. 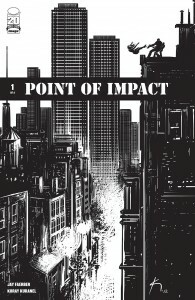 One of the stand out features of “Point of Impact” is the writing. This is primarily due to the use of differing perspectives that allows the reader to have a deeper understanding of the story. While I do like how things jump around with different characters, it does not give the reader enough of a story. 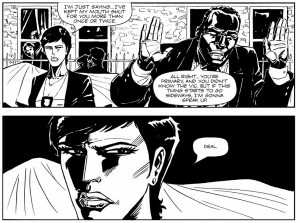 What there is does gives you enough of a taste to want more, but the book feels short for an issue one. There is potential for an interesting crime drama, but I am not so sure everyone will be sold on this issue. The artwork is gritty and not in a good way. 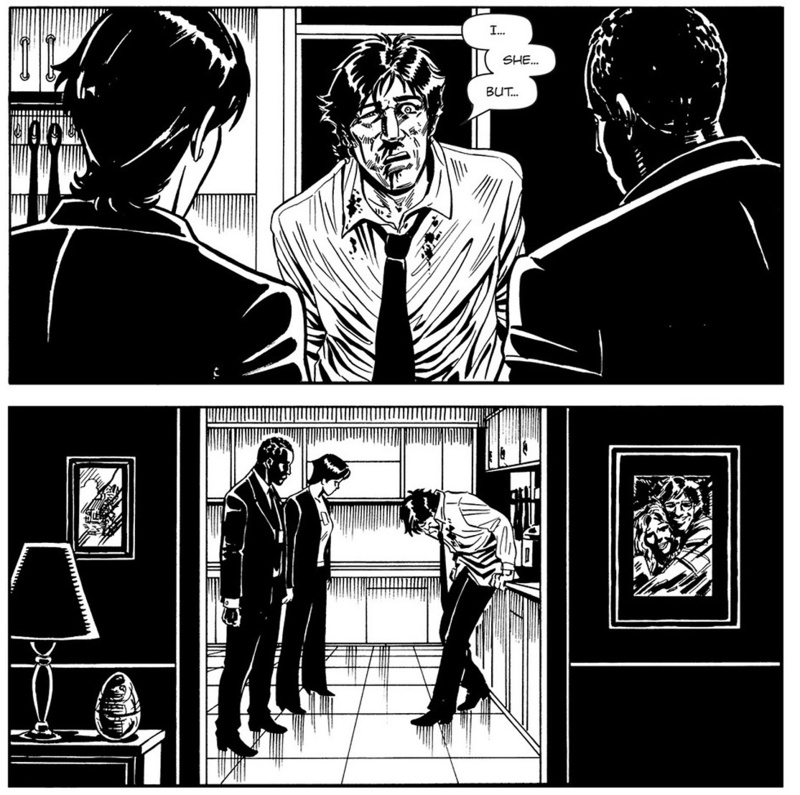 At many places the art looks messy and it looks like many parts were inked too heavily. There are a couple moments that are well detailed, but it does not make up for the majority of the book being messy. 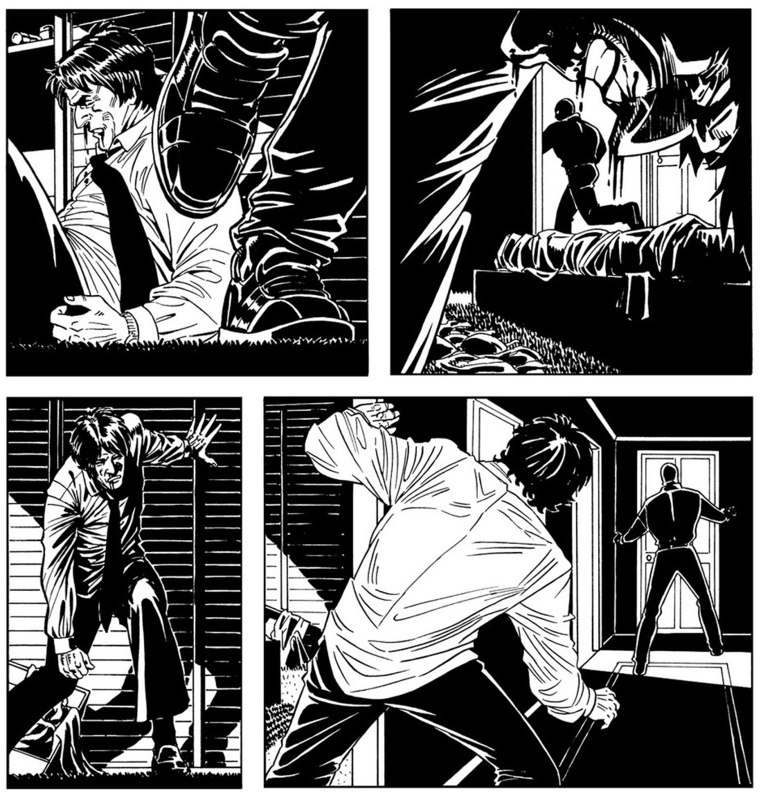 The well detailed parts have good use of shading and it does help build a noir feel. The mix of good and bad art is very odd and it will not be pleasing for most readers. The crime drama is a classic style of comic story and “Point of Impact” does capture some of that classic feel. The writing is easily above the average, it is just a shame there is not more in this book. The art is easily below average and can be distracting on occasion. If you enjoy crime stories there is enough of a tease to make you want to continue with the remaining issues. Just be warned that if you do not like the messy style then you will likely not enjoy this book.